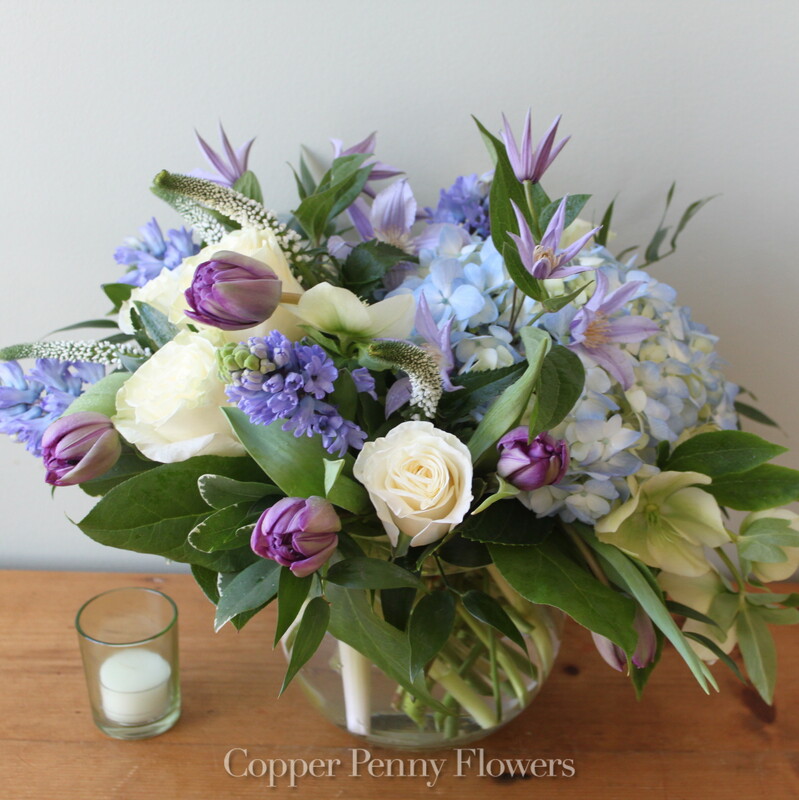 Copper Penny Flowers is a locally-owned, award-winning flower boutique and design studio, now entering our eighth-year of business. Walk down a short alleyway off picturesque Main Street in Concord, Massachusetts, to discover our charming building and our market-range of flowers at 9 Independence Court. We want to be your florist, and here’s why to choose us. 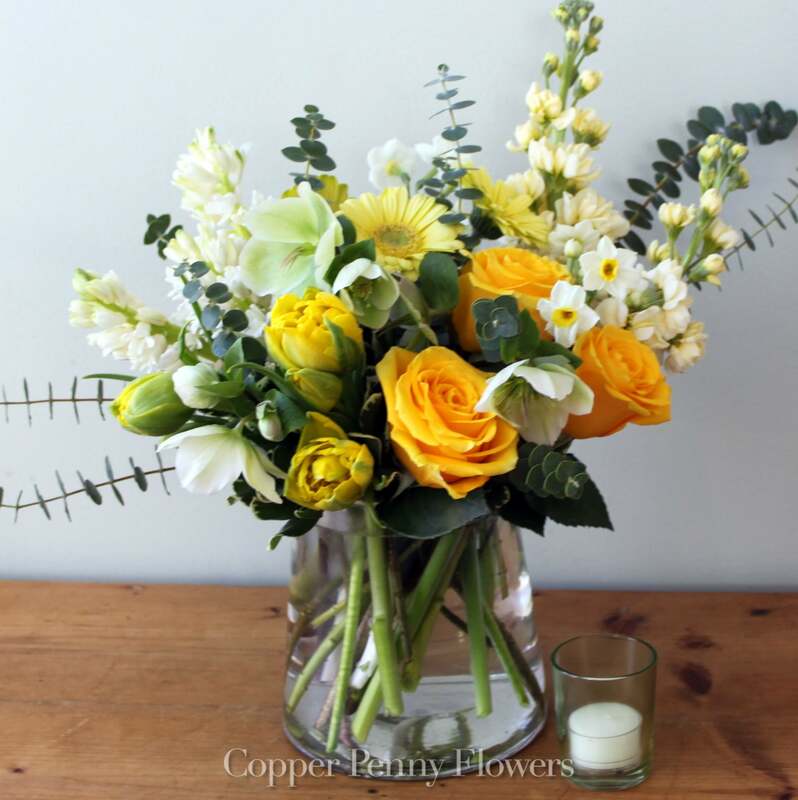 We deliver exceptional arrangements featuring premiere quality flowers and plants. We offer consistently exceptional customer service. 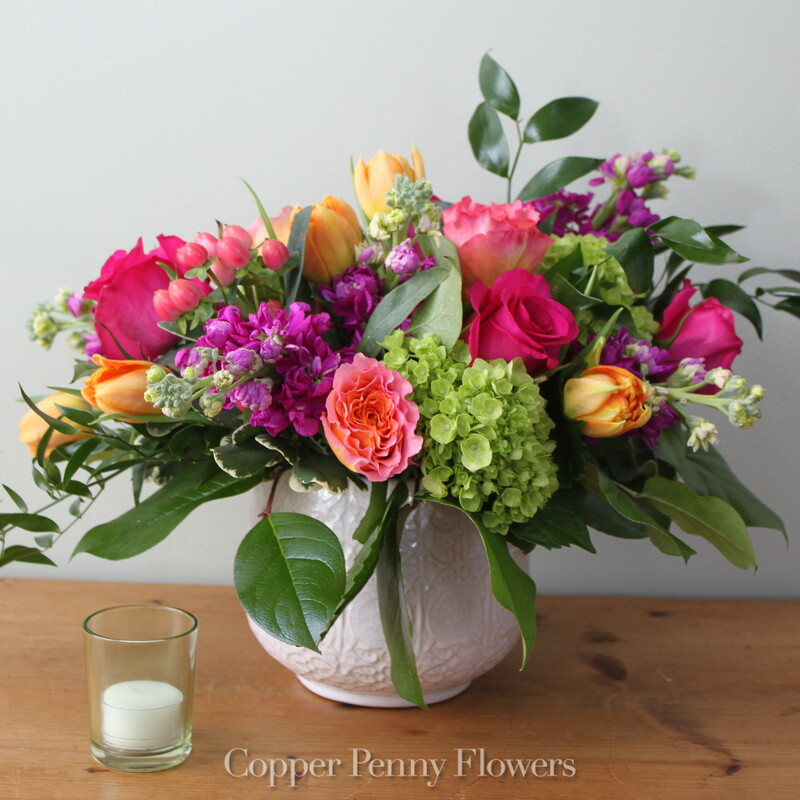 We deliver floral arrangements and create designs for events in over two dozen surrounding towns. We also travel outside our delivery area, Boston to Cape Cod, Ogunquit to Newport, to enhance your exceptional event with our premiere floral and event designs. 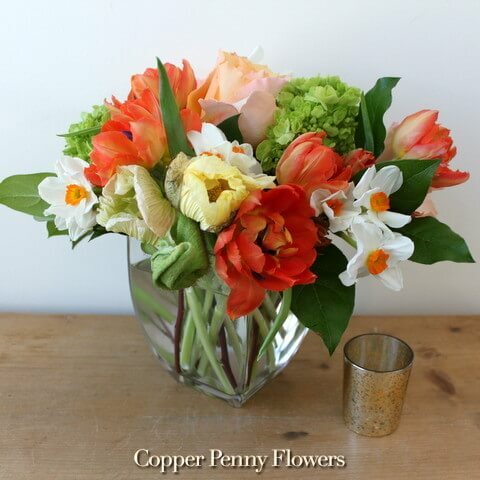 To personally experience the world of flowers and floral design, you can also turn to Copper Penny Flowers. We offer an ongoing schedule of community classes designed by us or custom classes designed by you, at our location or yours. Class participants experience floral designing first hand, and take home their own uniquely beautiful creation. We have been expanding our business and growing our reputation every year since we started. And we are never content with our customers receiving satisfactory floral designs and satisfactory customer service. 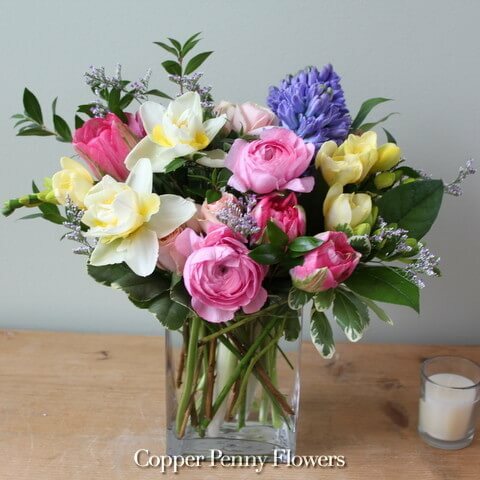 We strive to provide our customers with extraordinary floral arrangements and extraordinary customer service. Visit our navigation options above to place your order today. Contact us by phone to talk about products or flowers particular to your event or vision, or to request a unique flowers or plant your dear friend or family member would love to receive. Come in to the shop and get to know us, and let us get to know you.